We have seen the ultimate gaming PC setup, and it’ll set you back a cool $30,000. 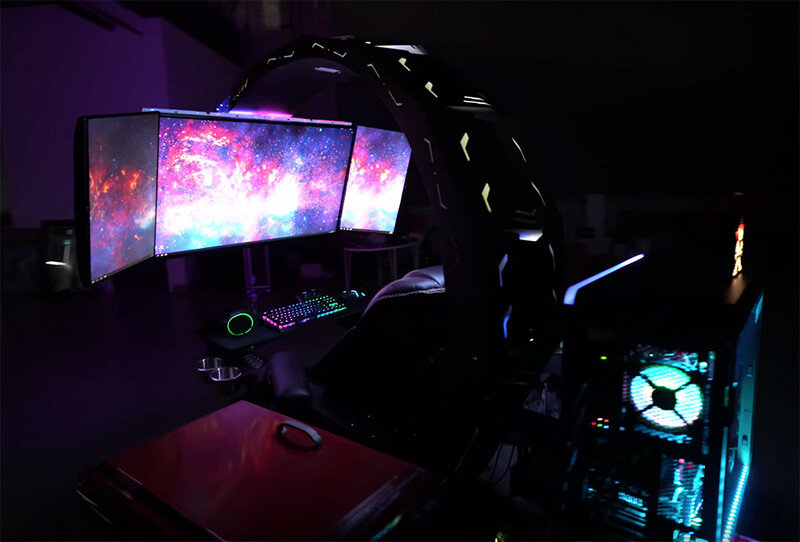 Featuring a crazy game chair by Imperatorworks, a 42.5-inch 4K LG display, two 24″ portrait displays, and even a refrigerator on the side, just in case you don’t want to leave your workstation during a marathon gaming session. Unfortunately (or fortunately), there is no built-in toilet…yet. Click here for the first image in today’s viral picture gallery. Continue reading for the five most popular viral videos today, including one of Thanos’ Infinity Gauntlet built with 25,000 magnets.